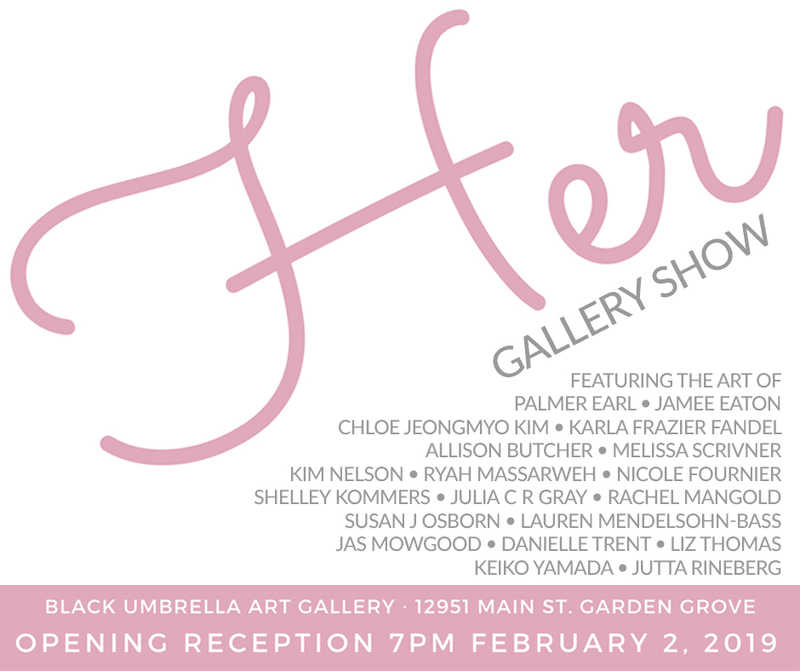 I'm super excited to be included in the upcoming HER show at the Black Umbrella Art Gallery in Garden Grove, CA. The show is curated by the very talented Christine Lee Smith, and opening night is this Saturday night, Feb 2nd at 7PM. The opening event will feature live music, food and drink, and over 30-pieces of art telling the female narrative in figurative and abstract ways. 💕 I hope to see you there if you're in LA or Orange County!